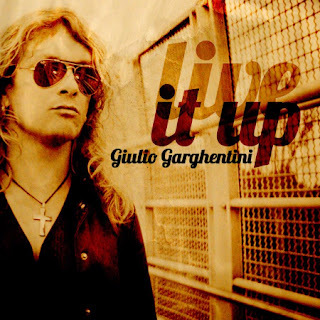 "Live It Up" is the new single by Giulio Garghentini, an anticipation from the new full lenght album due to be released by Tanzan Music in 2017. Following the succes of "Believe", the new track digs deeper in the Soul influences of Giulio, merging them together with the classic Rock style of the italian singer. The single will be released on May 23rd together with the official videoclip directed by Riccardo Bernardi, who has collaborated with Tanzan Music in the shooting of "My Jesus", "I Can't Stand The Rain" and "Shoreline"